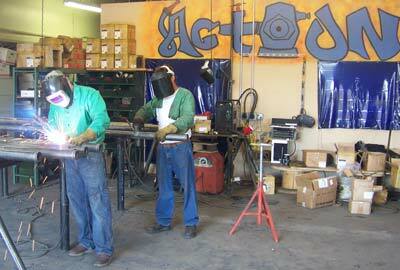 Action Fire Protection has a design department that offers several services to meet your growing needs. We keep up with all of the latest changes to the NFPA 13 Code to insure our designs are approved on the first plan check. We design our systems in AutoSprink "VR" to help expedite the fabrication and installation of your unique system. AFP does it's own hydraulic calculations in-house which helps provide you with the specific design that's right for you. Our designers specialize in medical installations and high-piled storage upgrades (including racks and standpipe design). Please contact our design department for a free fire sprinkler survey.